Johanna Maria Quandt was a Berlin, Germany-born businesswoman, the widow of industrialist Herbert Quandt. Born on 21 June 1926, she was the richest woman in Germany at the time of her death on 3 August, 2015. Married to Herbert Quandt from 1960 until his death in 1982, Johanna inherited her deceased husband’s stakes and holdings in several businesses all over Germany. The eleventh richest woman worldwide when she deceased, what was Johanna’s exact net worth? As of August 2015, Johanna counted her net worth at $13.9 billion. Needless to say, her riches were the result of her inheriting her husband’s wealth after his death in 1982. However, Johanna took hold of the businesses that Herbert left her and continued them to earn billions of dollars every year. Raised in Berlin, Johanna started her career as a secretary in the office of Herbert Quandt, her future husband in the 50s. She eventually became the personal assistant to Herbert and later married him in 1960. As Herbert was a big industrialist who was noted for resurrecting BMW from bankruptcy, his businesses were ever-growing until his death. Shortly after Herbert’s death, Johanna took hold of most of his shares in BMW and then served on the supervisory board until her retirement. Along with Johanna, her children, Susanne and Stefan also looked over Herbert’s businesses after his death. Of course, being on the top of these business ventures has been most significant in adding billions of dollars to Johanna’s net worth over the years. At the time of her death, Johanna owned 16.7% of total shares at BMW, one of the leading motor vehicle companies in the world. Along with business, she was also very active in philanthropy and worked particularly in developing health and education sectors in Germany. She was also recognized for creating a foundation “Johanna Quant Stiftung” to help train aspiring business journalists. Meanwhile, she was also supporting child-cancer institutes in Germany, and also donated to some political parties. These philanthropic activities always helped Johanna earn goodwill in Germany. While Johanna was recognized for her strong business skills, she and all of the Quandt family faced controversy as a documentary showed their roles during the Second World War. The documentary provided details on how the Quandt family was related to Hitler’s dictatorship and how they exploited labor during the period he was in control. Eventually, some members of the Quandt family decided to fund a detailed research on these accusations, but no results have been found since. Talking about her personal life, the deceased businesswoman was mother to two leading businesspeople, Susanne and Stefan Quandt, who have both served on the board of BMW since Herbert’s death. Sussane and Stefan are also among the richest people in the world. 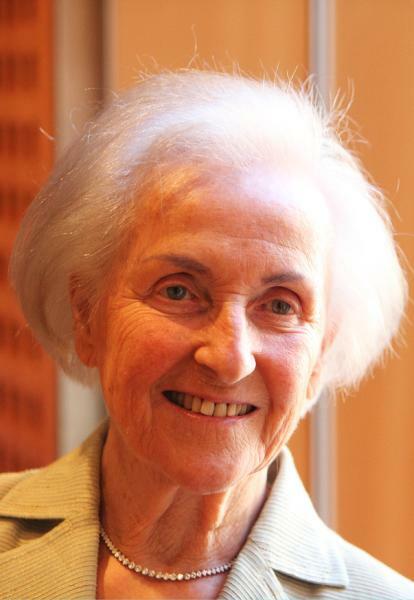 Johanna died on 3 August, 2015 at the age of 89 at her home near Frankfurt, Germany leaving her fortune of $13.9 billion to the remaining members of her family.